In just under three weeks, Star Wars: The Force Awakens will hit theaters, giving fans answers to numerous questions that have been teased over the past three years, ever since Disney bought LucasFilm for over $4 billion back in October 2012. Stitch Kingdom noticed that Amazon France has a full track list for composer John Williams' soundtrack, which will be available the same day Star Wars: The Force Awakens hits theaters on December 18. These song titles may contain minor SPOILERS for this highly-anticipated adventure, so read on at your own risk. The soundtrack kicks off with "Main title and the attack on the Jakku village." Since soundtrack songs are presented in chronological order, as they appear in the movie, it seems this adventure begins on Jakku. The next songs are "The Scavenger," "I can Fly Anything" and "Rey Meets BB-8." It was long believed that BB-8 actually belongs to Rey, but we recently learned that Rey simply discovers the ball droid on her journey. The next songs are "Follow me," "Rey's theme," "The Falcon," "The girl with the staff," and "The Rathtars." 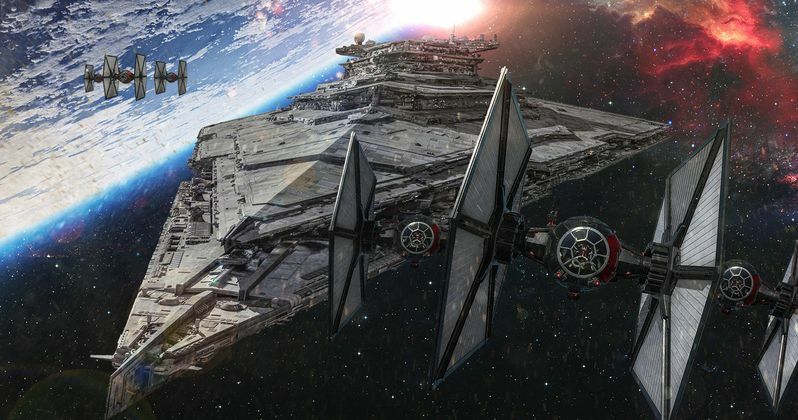 This is the first we've heard of "The Rathtars," so it isn't known what they are, or what their significance may be. The next songs are "Finn's confession," "Maz's counsel," "The starkiller," "Kylo ren arrives at the battle," and "The abduction." The starkiller song naturally refers to General Hux's Starkiller Base, which is a massive ice planet that has been transformed into an enormous space station. "Han and Leia" is up next, which could feature the moment we saw in the final trailer where Han Solo (Harrison Ford) and Leia Organa (Carrie Fisher) embrace. The final tracks are "March of the resistance," "Snoke," "On the inside," "Torn apart," "The ways of the force," "Scherzo for X-wings" "Farewell and the trip" and "The jedi steps and finale" Could this final track mean that one of the new heroes such as Rey or Finn could be taking their first steps to becoming a Jedi warrior? We learned from Topps trading cards earlier this year that Rey is actually part of the Jedi order, while Finn, who has been seen wielding a lightsaber in both new footage and the posters, is shown as part of the Resistance. In related news, a new report from Empire reveals more new planets that will be revealed in Star Wars: The Force Awakens. We already know about the desert planet Jakku, but this highly-anticipated adventure will also feature three more never-before-seen planets, Takodana, D'Qar and Hosnian Prime. Takodana is believed to be the site of a major battle, which has been teased in LEGO tie-in kits, and D'Quar is rumored to be one of the Restistance's bases. Nothing is known about Hosnian Prime yet, but the site also reveals that the Starkiller Base's origin point is in the Unknown Regions. What do you think about all of these new details?